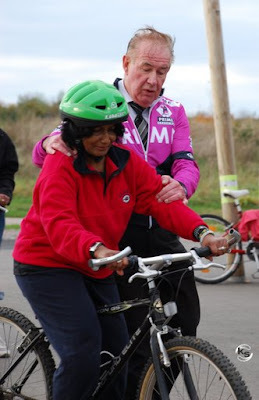 Brian Wright runs a Women Fitness Club at the Hillingdon Circuit each Friday afternoon. 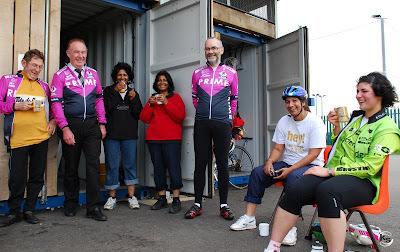 The aim of the club is to learn to ride and to get fitter in the process, oh, and there is a fair bit of tea drinking as well. There is no minimum standard, just bring along a good sense of humour. 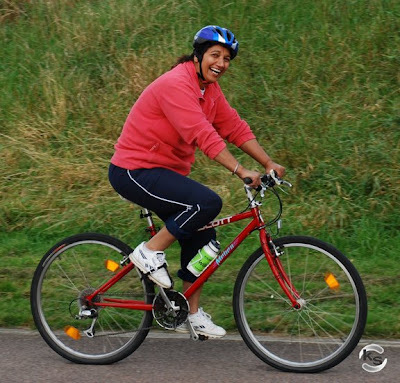 Brian and his team of coaches have taught a number of women how to ride a bike for the first time. The club runs every Friday afternoon from 1:30pm to 4:30pm. At present membership is free, so hurry up and join. There are bikes available to borrow if you can not bring your own. For more details email willesdencyclingclub@yahoo.co.uk and put “Women’s Freestyle” in the Subject field.